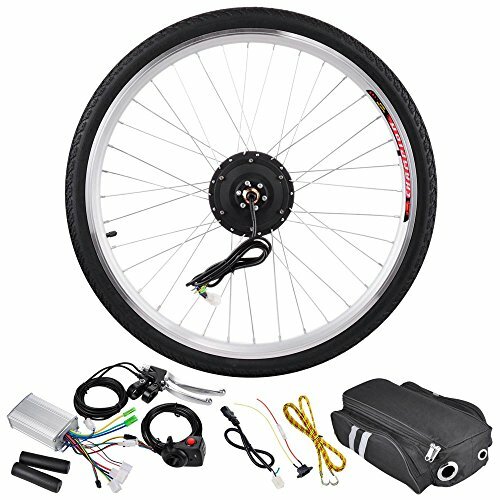 We are introducing a Brand New 36V 250W 26″ Electric Bicycle Front Hub Conversion Kit which meets your requirement of converting your bike to an electric powered scooter/moped in much more reasonable price. *1 Electrokinetic cell battery ( Li, lead-acid, NiMH battery etc.) featured in nominal voltage 36v, nominal capacity not less than 10Ah is compatible with the motor. Drive system has no moving chains or gears, no friction, more efficient, less chance to break! Brake shuts off motor automatically, saves energy, improves safety!